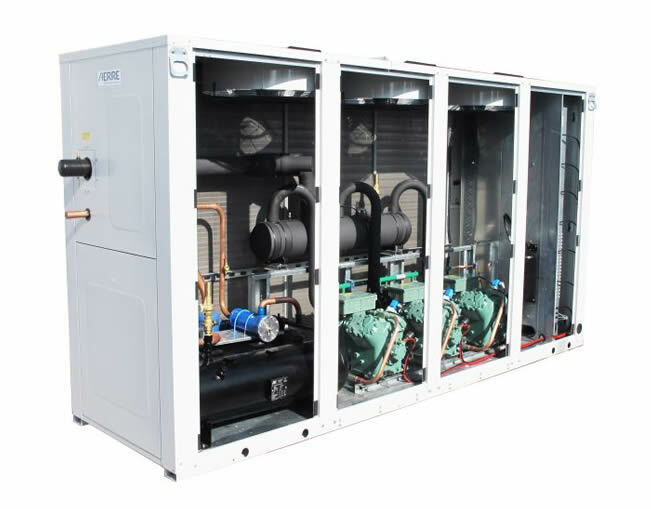 The K series includes multi-compressor racks for outdoor and indoor installation (KRC and KRA, multi-compressor air condensing units (KMC) as well water condensing units, for outdoor and indoor installation (KWC and KWA). 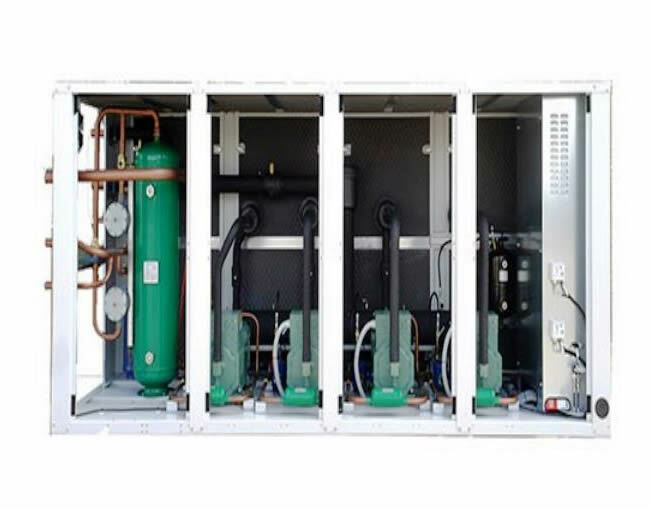 The KMC units are equipped with finned condenser with copper pipes and aluminum fins, and are available in low sound version. 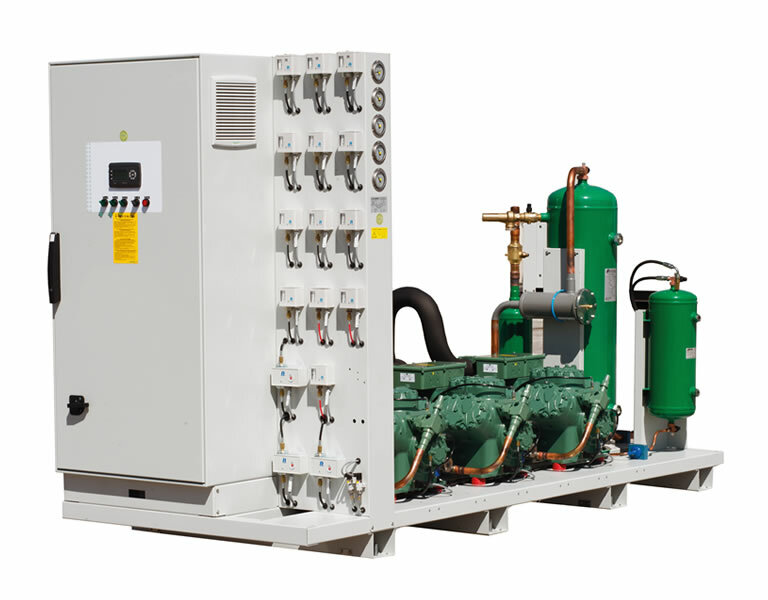 The K series can be equipped with semi-hermetic reciprocating or screw compressors and managed with standard electronics or PLC with dedicated software.